Raise your hand if your Saturday morning consisted of rocking out and singing every word of the ‘Saved By The Bell’ theme song. The 90’s was filled with the coolest gang at the coolest school – Bayside High. 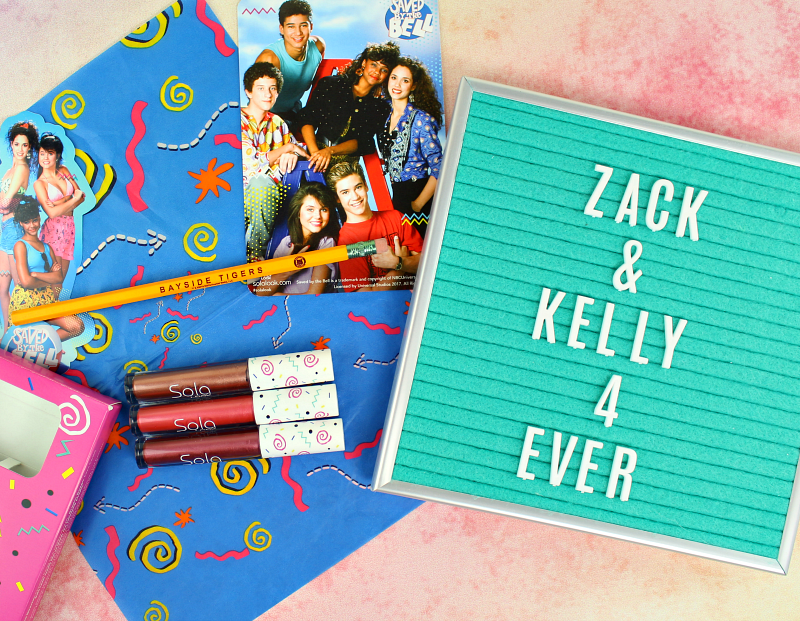 Zack, Slater, Screech, Kelly, Lisa & Jessie were TV icons and I don’t know a single person who wouldn’t run to the TV to catch the latest episode. Who can forget the iconic scene when Jessie gets hooked on caffeine pills? 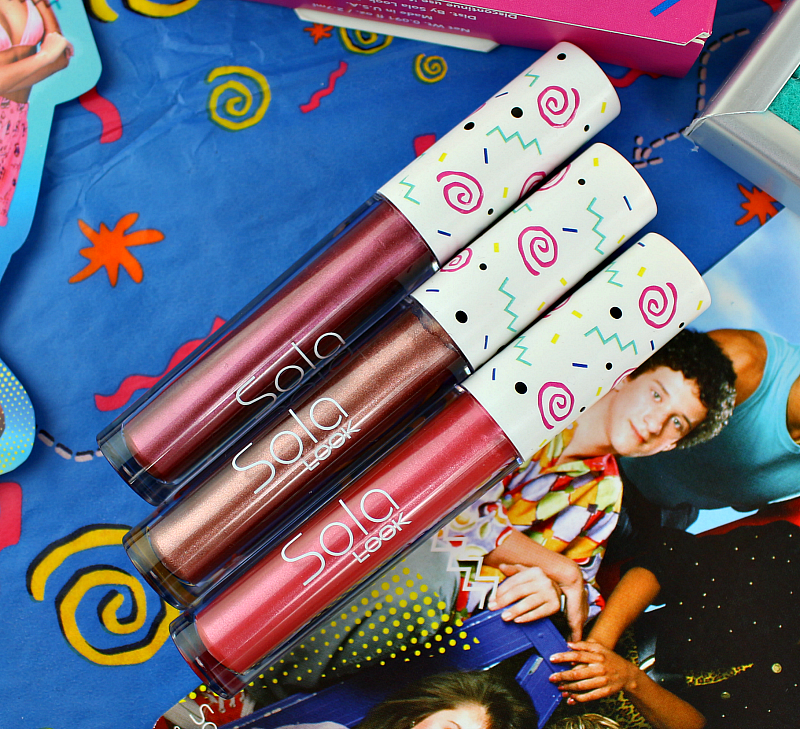 via GIPHYI was recently sent the Saved By The Bell Metallic Liquid Lipstick Trio created by Sola Look and the nostalgia is REAL. 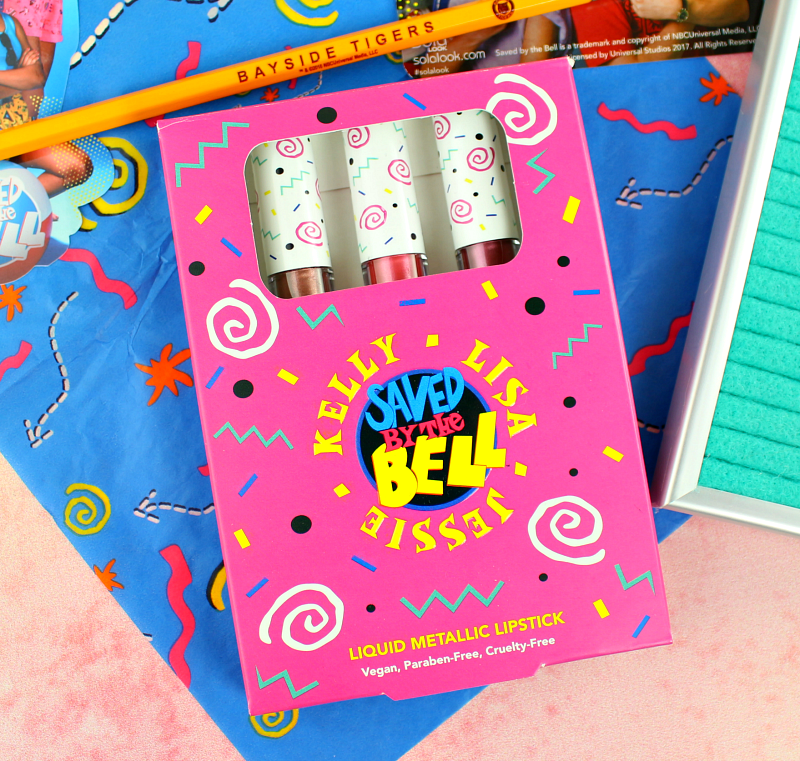 Not only did they slay the 3 shades named after the iconic trio of SBTB ladies, but also the packaging. I appreciate the fact that they didn’t just slap the show’s name on it and call it a day. They thought about every single detail right down to the fact that with every order you receive a Bayside Tiger pencil. All of Sola Look’s liquid lipsticks are vegan, paraben-free and cruelty-free. The tubes have 2.7 mL of product, so are a tad smaller than a regular liquid lipstick tube, but they still pack a punch. Each has a vanilla cupcake fragrance and dry to a velvet matte finish. I noticed the formula was thinner than most liquid lipsticks I’m used to, but they were easy to apply and felt really lightweight on the lips. The wear time for me was about 6 hours before I needed to touch up again. The entire set retails for $30 and is available NOW on the Sola Look website. 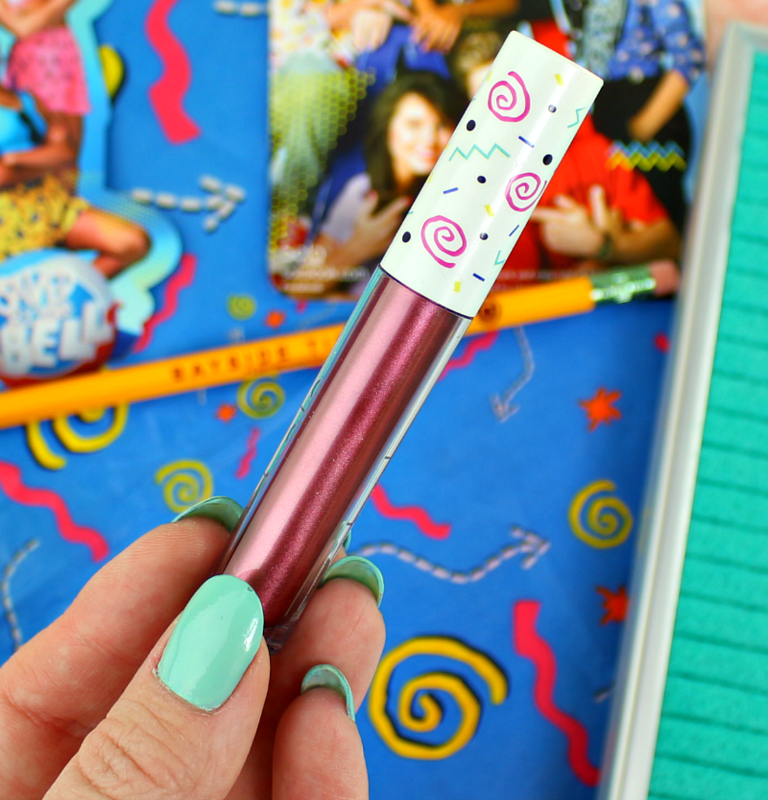 If you love metallic lips, singing into your hairbrush to ‘Friends Forever’ and sipping on milkshakes at the MAX, you are going to LOVE this collection. I would absolutely recommend you pick it up before it’s gone for good. Don’t be a Belding – Shop NOW! Now I feel really ancient coz I have no idea who they are! But the lippie shades are great! I love that caffeine pill scene! It’s a classic. These lip colors look great! & $30 is not bad for the entire set. I’m not a big fan of metallic lipsticks, but if I was I’d look into this. Great post. OMG, this is amazing. Such a fun collab!!! WHAT?! This is amazing! I need these – Lisa is my favorite! OMG Saved By the Bell was my favorite! Yassssss! I loved saved by the bell, I like that this collaboration was made. My favorite is Jesse. Nostalgia tells me that I am going to need this set! 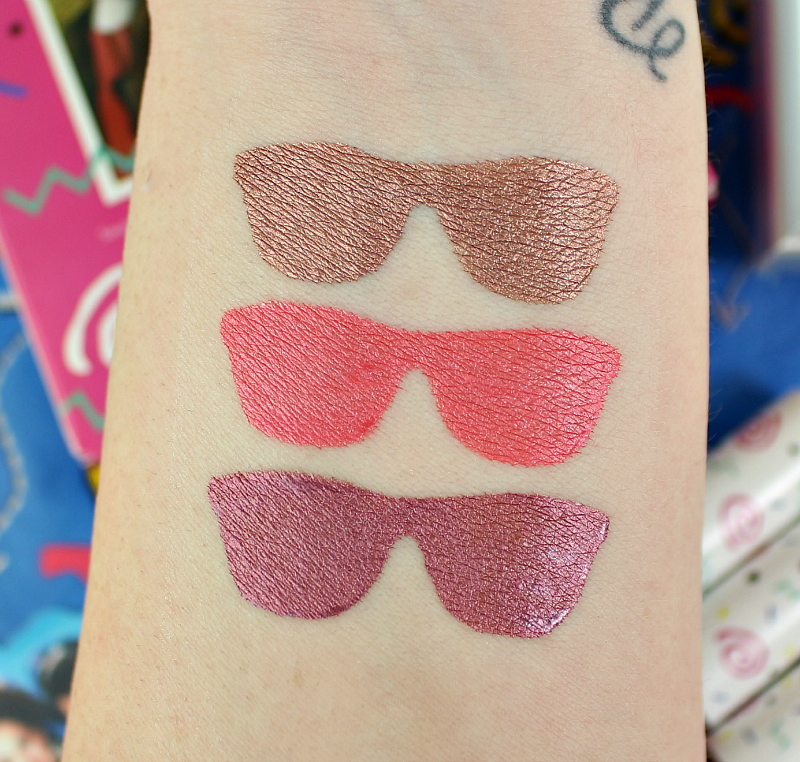 Those shades are so pretty (pun intended, lol)! Really pretty shades even if I didn’t watch the show – though I did peek when my kids watched it. I love that they send the pencil too. Why yes…I have every episode memorized because even after I watched it, the kids I would babysit watched the re-runs. 🙂 I love Lisa – that deep dark shade is gorgeous! Awww, that’s a cute collection! This is a fun and beautiful trio! And I love the show! All of these are pretty and the metallic isn’t too much! Very fun! The packaging is so cute and clever! I love the Kelly color. This is so fun! I used to live off of Saved by the Bell! This brings back memories! Zack Morris was my biggest crush back in the day haha! STOP! I need this!! I LOVE SBTB!! I love the sunglass-swatches. Lisa is such a pretty shade! Omg this is adorable!!! My favorite show growing up!!! These are awesome! I loved Saved by the Bell growing up! I’m not a huge fan of the colors but being that I watched every single episode of the show and both follow ups I’d get this set for nostalgic reasons. I think those shades perfectly match the characters! I like them all! such a fun idea! i need some of these! 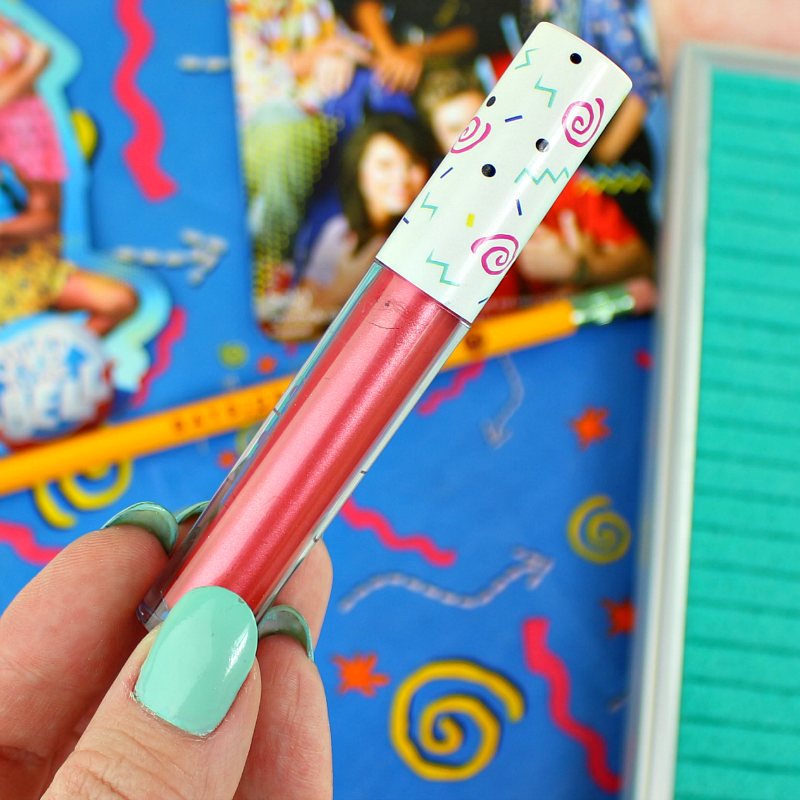 These shades are so fun and definitely remind me of Save the Bell! Also, that clip is the best ever! As much as I used to love Saved by the Bell, I can’t remember any episodes. What a cute idea for a collection and those swatches look so pretty! This collection looks so fun! 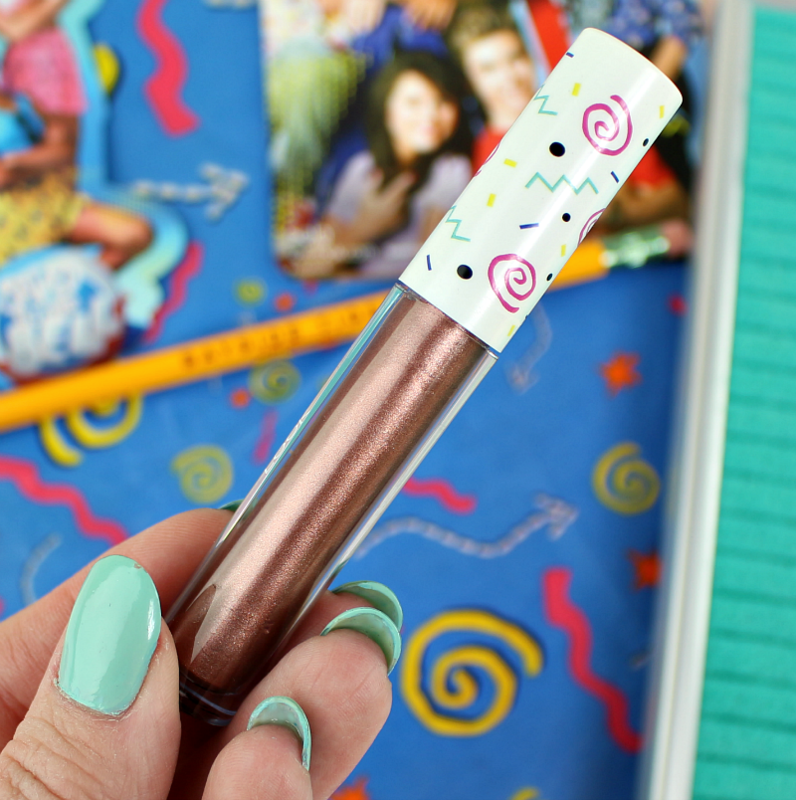 I never watched Saved by the Bell, but I love the overall nostalgic vibe from these!